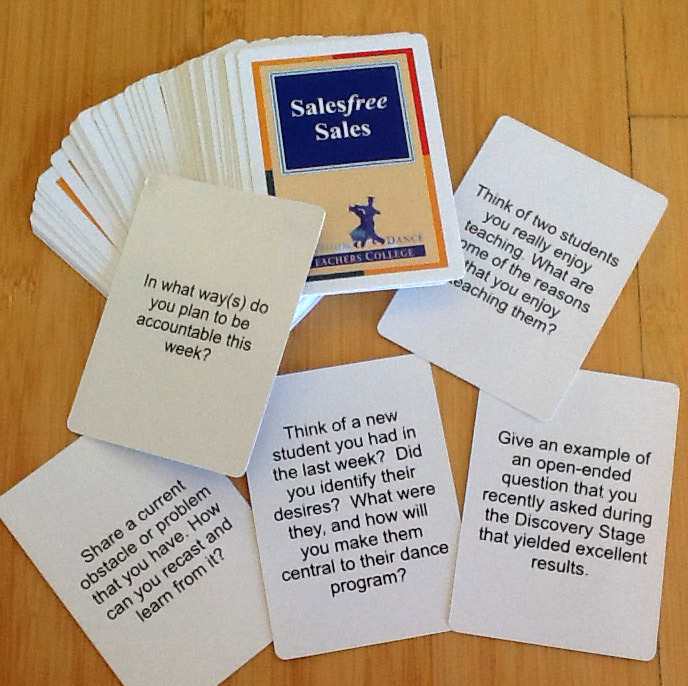 These handy cards help you remember and incorporate all that you learned in SalesFree Sales training into your classes, private lessons and interactions with students and colleagues alike. 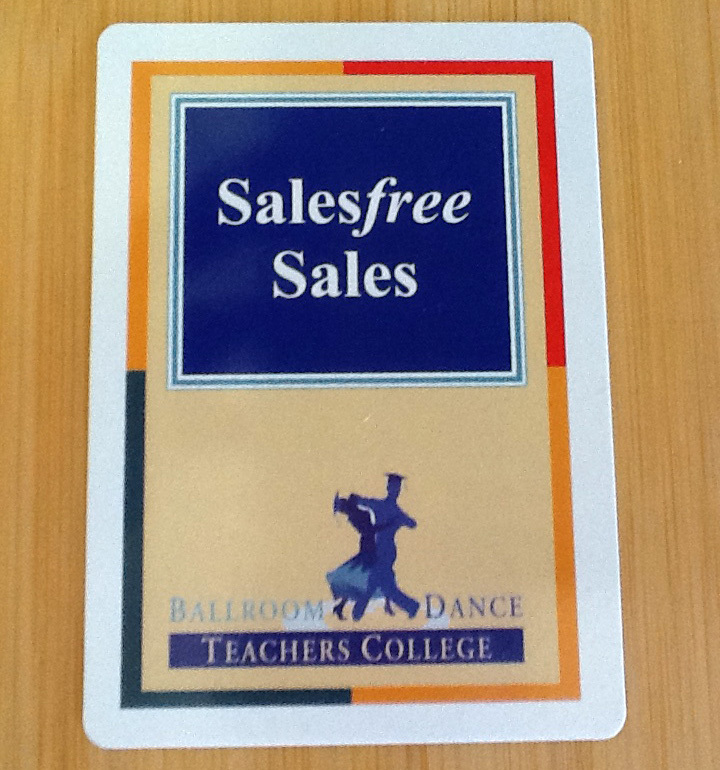 These cards correspond with the SalesFree Sales training. They are perfect for teachers to use on their own or with fellow teachers. Studio managers can also use them during meetings and trainings to build teachers’ skill of enrolling students and to foster authentic communication with students and among staff. Each card presents a question for thought or discussion. Topics include how to handle money, being accountable to yourself and others, identifying the needs and desires of your students, creating positive sales experiences, working with different personality styles, etc.